If you’ve landed here, you are probably looking for information on Blogger U, the course for bloggers (obvs) from Pete McPherson. At the time I’m writing the course is made up of some pre-requisite work and then 9 modules. Pete is planning on adding more information, extra modules and electives in advanced and specialist subjects. I think some of the material is being dripped out, and some hasn’t actually been written yet. I haven’t got very far through Blogger U yet, so why am I writing up my impressions? I signed up for the course last year and have finally got round to starting it. I will be blogging my journey through the course and letting you know if the course is worth the investment. I haven’t seen momentous blog change yet – unsurprisingly. I am not a success story (although I hope to be). Spoiler Alert: I already believe it will be worth the investment or I wouldn’t have committed to sharing my experiences here. Let’s see if that turns out to be true. Also, writing about the course will help keep me accountable and ensure I do actually get through it all. I’ve done Elite Blog Academy. I have read dozens of ebooks, I’ve worked through Amy Porterfield’s amazing courses on webinars and course building. I’ve even taken Stu McLaren’s Tribe course (which was also amazing). 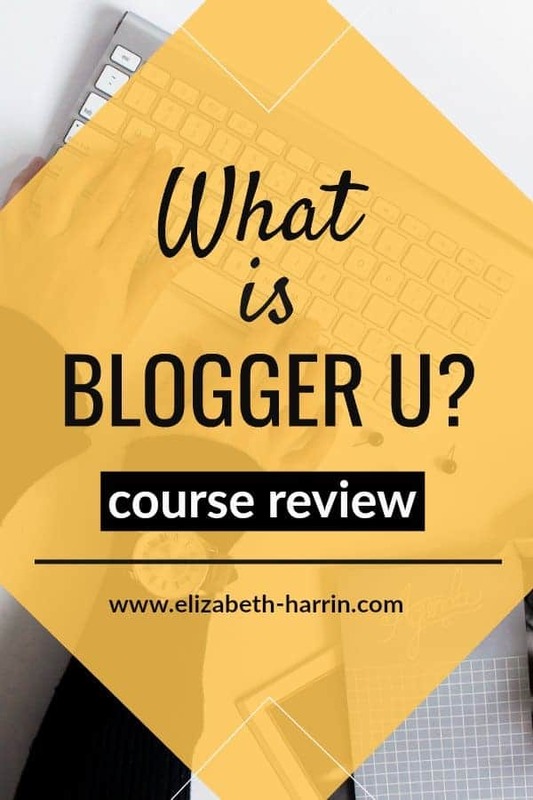 So why, when I’ve spent time and money honing my skills, learning blogging and putting things into practice, would I join Blogger U? 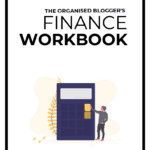 Especially as it’s a course aimed at beginner bloggers? First, I love Pete McPherson, the tutor. I have listened to his Do You Even Blog podcast since it started, and I enjoy his take on blogging. He comes across as authentic, and I think that’s missing in some of the stuff that is out there to teach blogging. Second, I like learning. I know GirlsGuideToPM is a good blog. But I know I don’t know everything. I also know that what works in blogging evolves over time. What I learned in Elite Blog Academy in 2014 isn’t necessarily going to work today. (EBA has been updated over time, and while I’ve tried to go through it again, I’ve really only worked through the new bonus content. I’m grateful to be a lifetime member, so if I do have time and the inclination to go through it again, I can). Third, this blog here – this blog about business blogging – is so small it doesn’t register on the scale. 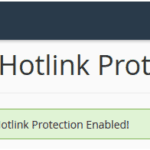 So I have the perfect test bed to try out Blogger U’s tactics and tools. If I can make this site grow, I will have really feel like I have achieved something (and I’ll be closer to being a successful alumna!). Fourth.. nope, that’s really it. I paid my money because Pete’s style suits my style and because I thought I would get something out of it. I really hope that the gamble pays off. The aim behind Blogger U is gigantic: a complete blogging education, to the point that you would never need to buy another course. If Pete manages to achieve that, then I want to be in at the ground level! So… What Have I Seen So Far? So far, I have worked through the introductory elements of Blogger U. I’ve completed Orientation and joined the student Slack channel. I am not a huge fan of Slack. There’s nothing wrong with it, but I don’t use if for anything else, and I don’t like having to go into yet another network. But let’s see how that works out. The videos are short. Thank goodness! I am happy to work through 45 minutes of content, but I don’t have the patience for one video that is 45 minutes long. I know that sounds weird. I suppose I like the small wins of being able to mark lessons as complete and get on with the work. The underpinning attitude is grown up. Do the work, skip around if you need to, let’s be adult about the fact we have children and real jobs. I like this approach. I have done courses where the content was dripped out and it felt like there wasn’t enough released at a time. This is to stop you skipping about (and probably also as a retention technique to stop people asking for refunds by downloading all the content and then asking for their money back) but when I’ve set aside a day to go through a course, I want to get on with it. If I was a total beginner I might want more advice and hand holding about what order to work through the course in. And Blogger U does have a logical order – so I you are new to blogging you can go through it the way Pete has designed it and come out just fine. But I like the fact I’m not instructed to do it that way, because I have a brain of my own as well. It’s run on the Teachable platform, like so many online courses that I’ve done, It’s run on WordPress (from June 2018) so the course interface feels very intuitive. So far, I’m happy with the course, content and the pace I’m going through it. I’ll continue to write my blog development reports as I go through the content.